Blossomfire15 shares some characters they think should have stories of their own. Do you want to see any of these feline’s tales? Hi! It’s Blossomfire15 here with my five article, I think…. I think it’d be called Half Moon’s Sacrifice! I imagine it’d be called Cinderheart’s Path. Both of these, best friends(I think, I forgot😛) have an unknown past. It’d be cool to find out about both of their pasts & where they came from. The titles: Midnight’s Past & Rock’s Tale. Either a super edition or a novella, I think super edition, but I think Brackenfur deserves one. It’s a very common opinion that it’d be really fantastic if he had a super edition. I’d love to see Willowshine’s viewpoint on having an unbelieving mentor & being taught about StarClan by Leafpool in her dreams! I’ve always liked Willowshine & I think it would be really interesting! If she did have a novella, I think it’d be called Willowshine’s Dream or something, aah, that sounds stupid. I’ve always wanted a Half Moon super edition, I think that she’d really deserve it. For all other cats that you listed under super edition, I believe should get just a novella instead. They’re good picks but don’t have enough substance to deserve a super edition. 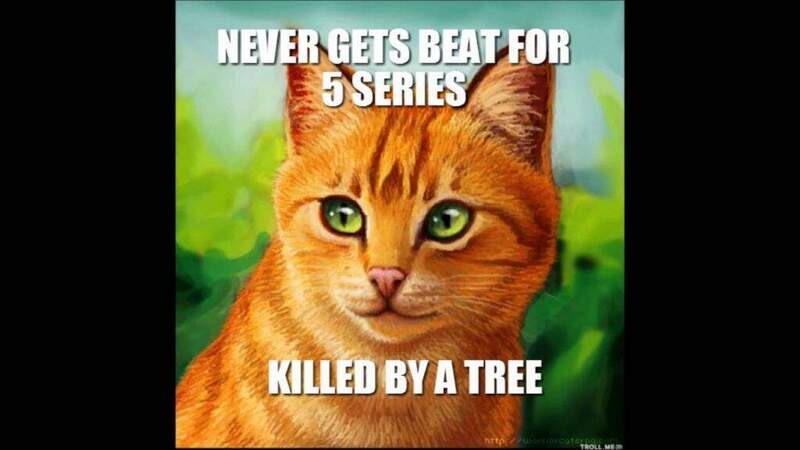 I would also add on an Ashfur novella even though I hate him with all of my Warriors heart. It’d be interesting to see his… demented mind work. Well the only reason I put him on super editions is because a lot of cats died in his life & I don’t think it’d fit in a 10 chapter book. I would so read Blackstar’s novella. Dunno about Blackstar, but definitely Rowanstar’s Betrayal about how his Clan and his son betrayed him for the rogues and Dovewing. Tigerheart never betrayed Rowanstar for the rogues. He was one of the only cats who actually stayed with his Clan at first (not all the other cats who didn’t stay in ShadowClan at first were really at fault for that though. Like Puddleshine had to to take care of the sick cats, and the sick cats were too sick to do anything about the situation.) But he did leave the Clan for a while to be with Dovewing, and he was a loner/Guardian Cat and was raising their kits with her, until they all went back to ShadowClan. Love that list! Agree with you on everything. I think Cinderpelt/heart deserves one the most though!